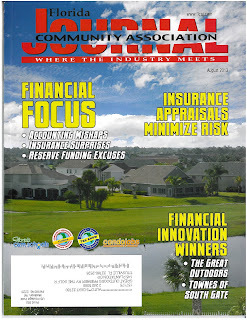 Yes, that's our own Great Outdoors featured on the cover of the August edition of the Florida Community Association Journal touting us as a winner of the 2013 Financial Innovation Award for large communities. 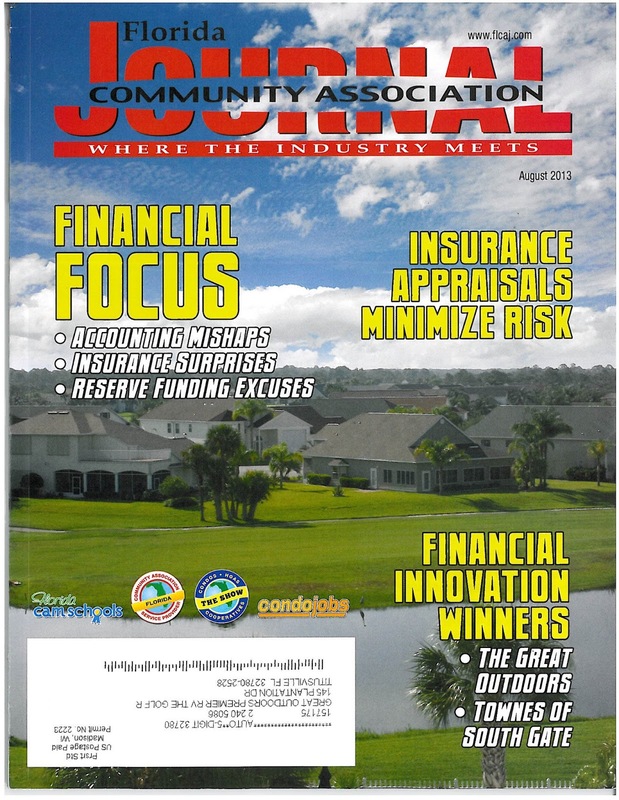 "These communities share an ongoing involvement in garnering revenue and tackling areas of expense, enabling them to improve their properties while keeping maintenance fees in check", Kathy Danforth of FLCAJ writes. Our own CSA manager, Keith Lamb, is quoted several times while explaining the creative ways he has undertaken to not only bring in new financial resources to the community, but also to improve and re-define line items in the existing budget to save TGO owners money. The result? Maintenance fees that have been kept to minimal increases throughout the years. In 1991, maintenance fees were $115 compared to today's $188. That's just a little over $70/month increase over a period of 22 years! Where else can you find the amenities and services TGO offers its owners? Congratualtions to TGO CSA and Keith Lamb for this outstanding accomplishment!